Healthcare is expensive no matter how you look at it, and there’s a reason why so many people put off seeing the doctor or dentist: They’re afraid of the bill. Even if you have an emergency stash and aren’t quite living paycheck to paycheck, one trip to the emergency room can destroy your finances. Financial advisors have seen it time and time again: Clients don’t make the best healthcare decisions, which leads to a negative snowball effect in their bodily, mental, spiritual and financial well-being. True, you might get slapped with a sizable deductible or co-pay if you schedule an appointment with your family doctor, but it’s nothing compared to a trip to urgent care or the ER. Your co-pay is likely within your budget, but emergency services are a bank breaker for many. If you wait until the symptoms get too bad, you might have no option but to seek out much costlier treatment. Probably not. If you have any say over which healthcare policy you get, work with a savvy planner to choose one that’s best for you, your health needs and your finances. For example, one with an insanely low premium might got with an equally crazily high deductible or maximum out of pocket expense. Maybe you need to see a chiropractor for an old injury, but that’s not covered with the basic policy. Maybe it is, or maybe it isn’t; that’s something only you can decide and should be driven by how often you actually go. There are many fitness fanatics (some even pro athletes) who rarely step foot in a gym and instead use the outdoors or their homes as their fitness hub. There are others who really need that gym motivation or classes to work out. 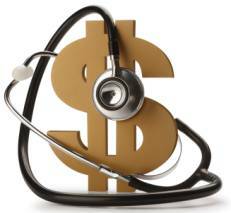 Healthcare can be expensive, but it can also be managed in a financially savvy way. In some instances, some of these expenses can even be tax write-offs, too, so don’t forget to consult your CPA.